New York Knicks: What Will Joakim Noah's Role Be In 2018? 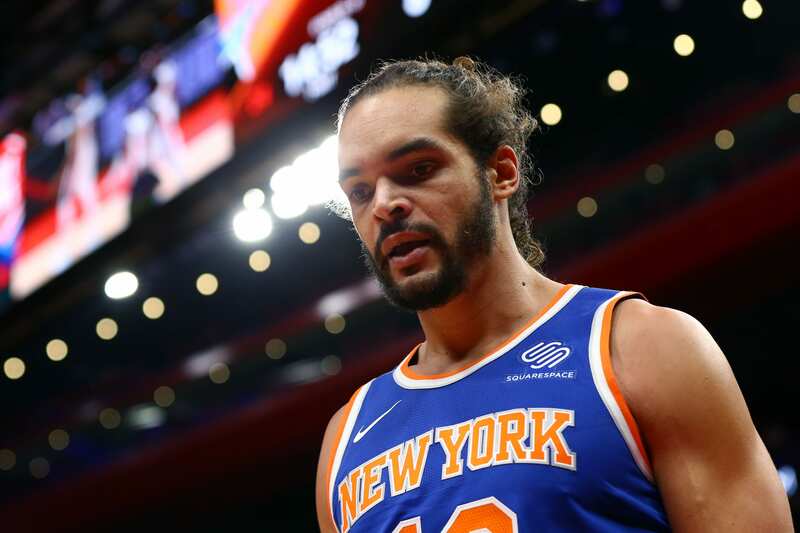 Home New York Knicks New York Knicks: What Will Joakim Noah’s Role Be In 2018? New York Knicks: What Will Joakim Noah’s Role Be In 2018? Talk about a bad contract, New York Knicks big man Joakim Noah is being paid a boat-load of cash to play on the back-end of his career. After a 2017 season where Noah got into a physical altercation with former head coach Jeff Hornacek, he will have a new coach to deal with in David Fizdale. So far, Noah enjoys the company of Fizdale much more, as he’s a relatable coach that adapts to the style of his players. In two season with the Knicks, Noah averaged just 4.6 points and 7.9 rebounds per game. That’s abysmal, especially when considering the prolific career Noah has had. After signing a four-year, $72 million contract that set the former Bull up for life financially, he seemed to check out in terms of effort. While coach Fizdale will likely split minutes between Noah, Enes Kanter, and Mitchell Robinson, we should expect to see the former Defensive Player of the Year play a teacher role. His influence on the young players, especially Robinson, is where he will make his money and prove his worth on the court. The second-round pick from this year’s NBA Draft is an exceptional defender and will only benefit from the wisdom imparted by Noah. The Knicks failed to move Noah’s contract this offseason, which ultimately will keep him in New York for at least one more campaign. I would expect the Knicks to try and move him again, but for now, it’s best to utilize his knowledge to help develop the youngsters on the team. New York Yankees: What’re The “X” Factors For The Second Half Of The Season?